While many people understand Arizona DUI laws in regards to alcohol, some do not understand the issues which arise from driving under the influence of drugs. It is obviously illegal to drive while under the influence of narcotics such as marijuana, cocaine and ecstasy. It is also illegal to drive while taking prescription drugs which impair your abilities – even if one has a valid prescription for the drugs. If you have been charged in Arizona with driving under the influence of drugs then it is important to take this charge very seriously. Contact Phoenix criminal defense lawyer Bretton Barber today for an initial consultation. Arizona will charge you with a DUI, extreme DUI, or aggravated DUI in matters involving alcohol. Such convictions require your blood alcohol level to be over a certain threshold. Cases involving other mind altering substances, however, are handled differently. You may be convicted for a “DUI for drugs” charge if you are impaired “to the slightest degree.” This means that if there is any trace of an illegal or controlled substance in your bloodstream then you may be facing a DUI. 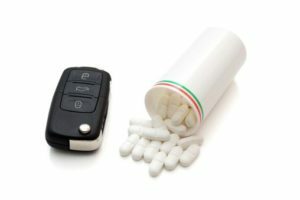 It can be a defense to DUI drug charge to show that you had a valid prescription at the time. While you may still be convicted of a lesser offense, having the prescription can lead to dismissal of the instance case. Hiring an attorney who understands the law is crucial to your efforts of showing a jury that you had the valid prescription and were not impaired. It is important to understand, however, that the police cannot simply stop your vehicle because they want to. They have to have reasonable suspicion of a crime and if this reasonable suspicion in missing then it may be possible to have your case dismissed. Hiring an attorney who understands search and seizure law, therefore, is crucial to defending your case. Bretton Barber is a Phoenix lawyer who practices exclusively in the area of criminal defense. Once retained he will analyze the arrest reports, officer statements, and any other evidence relating to the stop of your vehicle. If your Fourth Amendment rights were violated then he will file the appropriate Motions with the Court. Also, if there was an issue with how the police conducted any field tests, or in how evidence was handled, then he will challenge such evidence in Court. Bretton recognizes that this is a serious situation and he will treat your case with the attention it deserves. In addition to Phoenix we represent defendants in other Maricopa County cities such as Mesa, Glendale, Scottsdale, Chandler, and Gilbert. We also assist Pima County residents in Tucson. Bretton understands that people retain an attorney because they have to and not because they want to. He also recognizes that people are often unhappy with the level of communication provided by most attorneys. This is why he provides clients with his cell phone number and keeps in regular contact with people throughout their case. He can be reached via telephone, text, and email. Contact our office today to speak with our lawyer.